Schools out, Gumball's In! 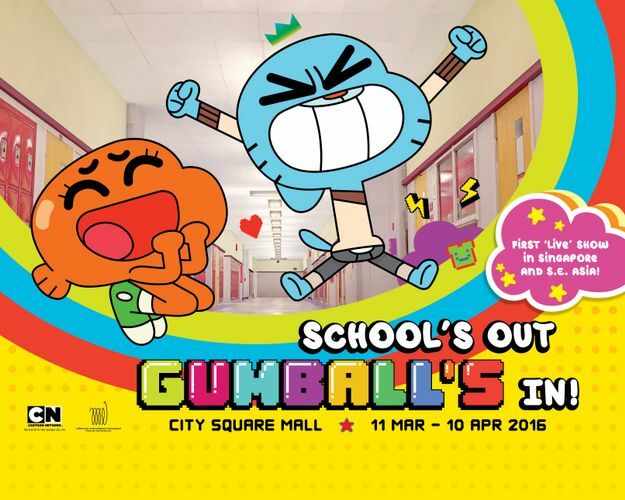 Catch The Amazing World of Gumball for the first time in Singapore and South-East Asia! Let loose and have a good laugh at the funny antics of Gumball and friends at this interactive ‘live’ show. Detective Dickie Gumshoe heads down to Elmore Junior High to solve ‘The Mystery of the Stolen Test Papers’. There, he enlists the help of Gumball and Darwin Watterson who eagerly take over the stage to show off their cool beats and chaotic charm! With a minimum spending of $30*, shoppers can redeem an exclusive pass for the Meet & Greet session one hour prior to each show at the Level 2 Customer Service Counter. Grab them quickly though, as there are only 50 passes per show!